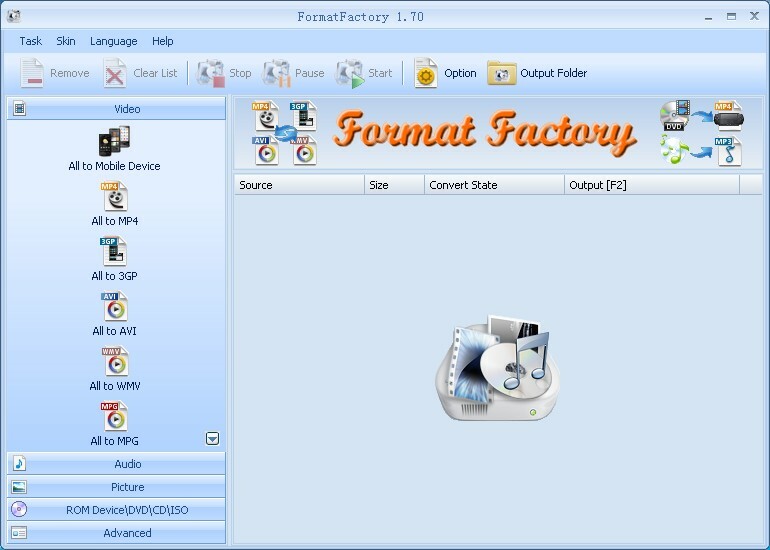 Format Factory is a convenient utility that lets you convert files into different formats to facilitate sharing, save disk space, or make compatible with a mobile player. 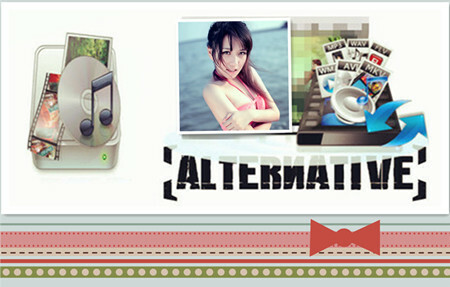 Meanwhile, Pavtube Video Converter Ultimate covers all the functions of Format Factory, as another best Video Converter. So when Format Factory compare to Pavtube Video Converter Ultimate, which is the winner? Now, let’s see the detailed functions of the both Video Transcoders and the difference between them. As one of the top Format Factory alternative and the strong competitor, Pavtube Video Converter Ultimate is an up-rising star which has won more and more users and has great potentials to rival Format Factory in various aspects. It is fully compatible with new Windows 10 and also has Mac version for Mac users. It can backup both regular, protected DVDs including Disney X-project DRM, CSS, region code, RCE, Sony ArccOS, UOPs. and DVD with region code 1/2/3/4/5/6. It enable you to rip DVD to MP4, WMV, AVI, FLV, MOV, H.264, H.265, M3U8, etc, for playing on iPhone, iPad, Apple TV, Android, Samsung, HTC and more devices on the go, or watching DVDs at home on widescreen UHD TV sets via a server (NAS), streaming, etc without inserting physical discs. With this Format Factory alternative, you can freely copy movie DVD to VIDEO_TS Folder and DVD to MPEG2 file. It also can rip and convert Blu-ray disc, Blu-ray folder, Blu-ray ISO images. Format Factory works in your computer to re-encode video to any another format and allow you to rip the DVD onto your computer. Rip DVD to video file and MP4 files support iPod/iPhone/PSP/BlackBerry format. Repair damaged video and audio files. On account of commercial DVD often being encrypted by one or more copyright protection. Pavtube Video Converter Ultimate is definitely not a second choice. It is capable of ripping and backing up all regular DVDs including DVD movie, TV show, tutorial, etc. With the powerful DVD decryption technology, it can remove any DVD encryption including CSS, Region Code, Multi-angle, RCE, Sony ARccOS, UOP and even Disney X-Project. Pavtube Video Converter Ultimate functions more as standalone software than Format Factory. Pavtube Video Converter Ultimate can copy the entire Blu-ray/DVD disc content to your computer hard drive with its original structure and all audio/subtitle tracks and chapter markers preserved. In addition to its full disk copy, it can also save 100% intact BD M2TS/DVD VOB movies without extras, which is called directly copy. Besides DVD ripping, it supports protected Blu-ray converting/copying and SD/HD/4K video encoding. While Format Factory is only a DVD decrypter and DVD copy. With it you can also decrypt BD/DVD sources to compressed ISO, TS or M2TS file and copy those audio CDs with copy protection. If you need to convert BD/DVD sources to playable video formats, an extra converting tool will be needed. Another difference is that Format Factory aims to offer greater control, all the way down to changing the speed of your DVD drive. It can remove FBI Warnings and subtitles, and does a lot for the DVD itself. Pavtube Video Converter Ultimate: Any DVDs with region code, CSS, Sony ARccOS, UOPs, APS, RCE, etc. including DVD folder, DVD disc, DVD ISO. Commercial and general copy-protection Blu-rays are also supported. What’s more, it allows to transcode H.265/HEVC, MP4, MKV, M4V, AVI, TiVo, MXF, MOV, and other SD/HD/4K videos. Format Factory can save DVD or convert video to various video and audio format excluding H.265 and M3U8. Pavtube Video Converter Ultimate output videos in MP4, MPEG, H.264, H.265, M3U8, WMV, FLV, MOV, iPod, iPhone, Apple TV, HTC, Samsung, PSP, Xbox 360, PS3, Wii, TV, etc. Pavtube Video Converter Ultimate is “6 times faster” than Format Factory by using NVIDIA CUDA technology and AMD Accelerated Parallel Processing (APP). And Pavtube is much faster than Format Factory in movie loading, title scanning, etc. You see, as one of the most outstanding features of Pavtube Video Converter Ultimate, the preview window allows you to have a quite smooth preview of the converted video. What a brilliant video player to preview source DVD video files! While Format Factory shows with a relatively complex GUI. So, if you are not so professional in DVD ripping, Pavtube Video Converter Ultimate may suit you better. Format Factory is capable of disabling unwanted movie features such as forced subtitles, forced delays, and no-skip marks, giving you full control over your movie experience. Pavtube Video Converter Ultimate allows more personal settings and provides numerous video and audio parameter settings for advanced users to alter the file size and video quality accordingly. Therefore, Pavtube Video Converter Ultimate is more suitable for advanced users. With the built-in video editor, you’re allowed to edit your DVD sources to make out your favorite movies with Pavtube Video Converter Ultimate. For example, trimming video clips, cropping unwanted images, and adding subtitles, etc. While, you need other DVD editing tools, such as CloneDVD, and all DVD playpack software to work with Format Factory. As long as you have purchased Pavtube Video Converter Ultimate, you will enjoy its free renewal and upgrade for lifetime. However, you have to pay extra money for renewal and upgrade of Format Factory according to your years of use. What’s worse, Format Factory has time-limited free trial. Why not choose a more user-friendly tool with a perfect customer support? Well, Pavtube Video Converter Ultimate boasts excellent and fast DVD ripping feature, supports a truckload of output formats, and offers a similar intuitive Mac-style interface. The quality in the decryption rips didn’t vary as they preserved the original video. So Pavtube Video Converter Ultimate gets my vote here. Whatever, it’s your decision now. Just read the detailed comparison among Pavtube Video Converter Ultimate and Format Factory below. If you need a more powerful all-in-one Blu-ray Ripper + DVD ripper + Video Converter + Audio Converter that provides more output formats and profiles (as many as 200+), please try Pavtube Video Converter Ultimate with outstanding features and unique functions. Wanna save your money? Please go to www.multipelife.com/special-offer to find your desirable bundles. And you won’t regret! BDMagic for Windwos/Mac – The best Blu-ray solution to rip and backup any commercial and region-locked Blu-ray to H.265, M3U8, MP4, MKV, AVI, FLV, etc. DVDAid for Windows/Mac – Capacity of ripping copy-protected and homemade DVD to iPhone 6S, iPad, Surface Pro, Synology NAS, Seagate Wireless Plus, etc with suitable format. ByteCopy for Windows/Mac – It can rip Blu-ray/DVD in multiple languages to lossless MKV keeping multi-track subtile/audio and all chapter markers. Pavtube New Official Site gives a simple way to convert SD and HD video, rip and copy DVD/Blu-ray. Pavtube Old Official Site provides you with best Blu-ray Ripper and DVD Ripper. Pavtube Video Software Site provids customers with best VR Video Converter, 4K Video Converter, HD Video Converter and Video Converter. 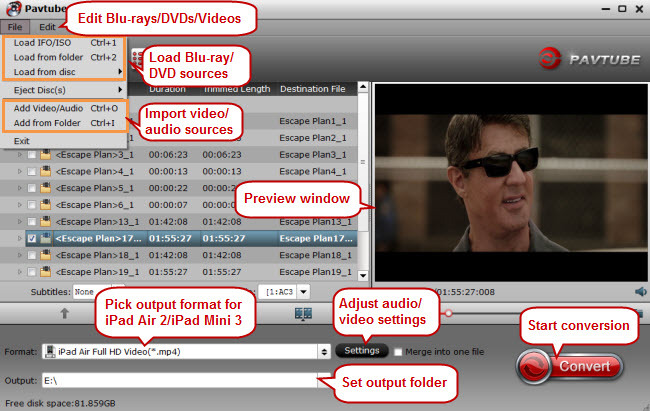 Software Tutorials Blog shows you the way to rip Blu-ray, copy DVD and convert video files using Pavtube Software. MakeMKV vs ByteCopy vs DVDfab: Which is the Best?